Star marked identities them as military issue to the IDF. "IMI" marked identifies them as commercial issue. 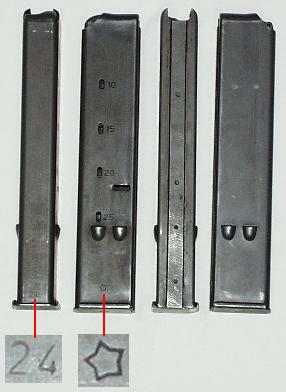 Magazines with both tool marks were originally made for military use and where later restamped for commercial use. Some IMI magazines that have no markings at all. 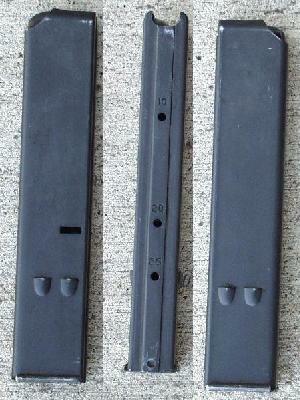 Construction: medium gauge metal, no seam in back, flat seam in front. 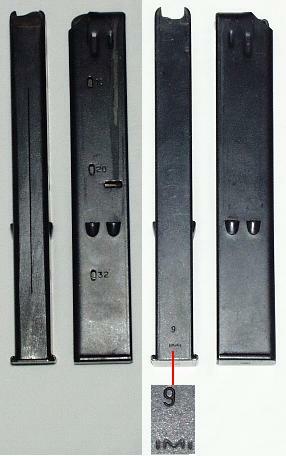 Comments: These magazines shipped with the UZI Pistol in the United States. They are an excellent magazine to use during concealed carry. 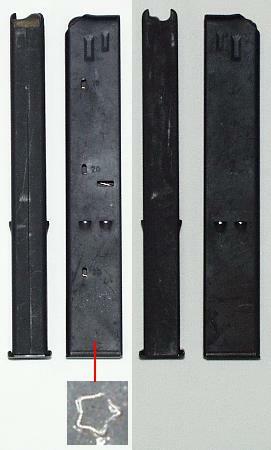 Construction: Heavy gauge metal, folded seam in back, no seam in front. Finish: Smooth gray or green parkerized. Reliability: Excellent. This is probably the best magazine you can buy if you take into account reliability, longevity and price. Comments: Apparently these were military issue magazines that were converted to commercial issue by adding the "IMI" stamp to them and applying a painted finish. Comments: Early version of the IMI magazine. 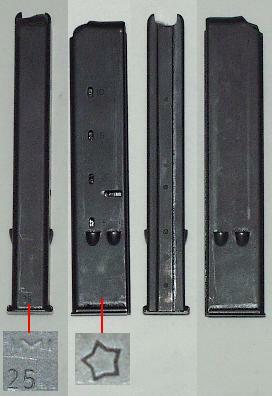 Mostly identical to a military issue IMI mag except witness holes are on the back instead of the side. 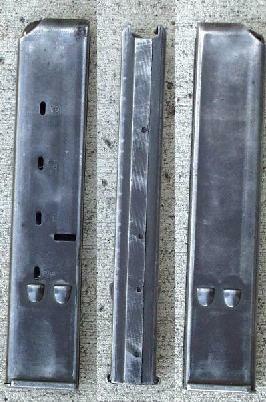 Comments: Construction is very similar to a military issue IMI magazines but no tool mark. Comments: Probably made for Israeli special forces for use in the Mini UZI or Micro UZI.